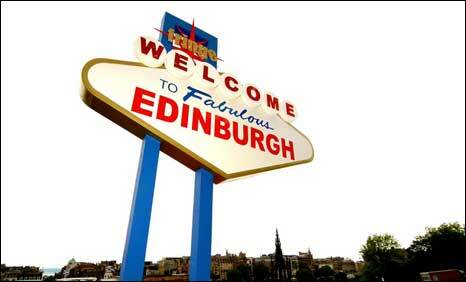 It is 61 years since eight theatre groups turned up uninvited to the first Edinburgh International Festival. They staged their performances at venues away from the big public stages and the Fringe was born. It acquired its name the following year when Robert Kemp of the Evening News wrote: "Round the fringe of the official Festival drama there seems to be a more private enterprise than before... I'm afraid some of us are not going to be often at home during the evenings". Despite just 19 groups performing on the Fringe in 1959, many of them university companies, there were concerns that it was becoming too large. However, the number of production rose steadily throughout the 1960s and by the end of the decade there were 57 groups taking part. The early 70s saw the first steps to a more professional Fringe. Theatre group 7:84 Scotland performed their first Fringe production, Trees in the Wind by John McGrath in 1971. The Fringe First award was set up in 1972 to attract attention to the dozens of new plays being shown, many of which badly need publicity to boost dwindling audiences. In 1976, Alistair Moffat took over as administrator. During his six years at the helm, the Fringe expanded massively to 494 by 1981. As the 80s began, new venues of all descriptions popped-up city-wide, among them the Assembly Rooms. By 2001 more than 600 groups from 49 different countries performed 1,462 shows in 175 venues across the city. In 2003, ticket sales hit the million mark for the first time and have risen every year since, reaching 1.69 million last year. Fringe 2007 featured 31,000 performances of 2,050 shows in 250 venues. It is estimated 18,626 performers were on stage. It is thought the Fringe has a 75% market share of all attendance at Edinburgh's year-round festivals and annually generates about £75m for the Edinburgh and Scottish economy.